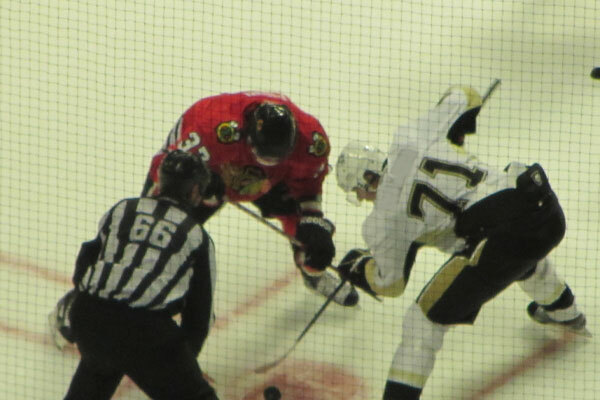 Sports Traveler has your Chicago Blackhawks game tickets for all home and away games during the NHL Season. Browse the schedule below to find the game of your choice. Great seats at great prices are available by purchasing using our online inventory. 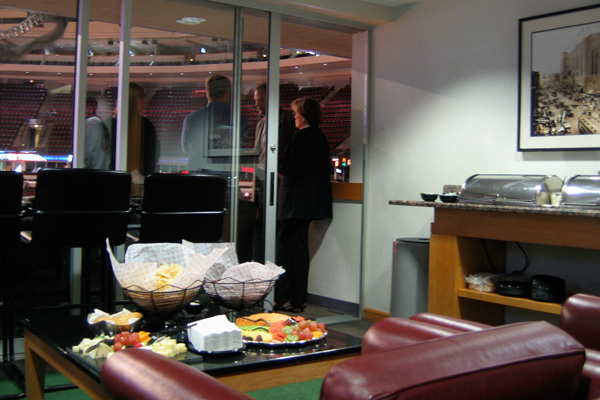 Entertain your best clients in style at a Chicago Blackhawks game at the United Center in Chicago, Illinois at a private Blackhawks Luxury Box Suite. Blackhawks Box Suites seat up to 18 people. Catering is available for lunch or dinner. We specialize Chicago Blackhawks Travel Packages! Travel to Chicago for any game during the Blackhawks 2014-2015 season! Travel to the city of Chicago and witness a Blackhawks game at the United Center. Witnessing a game at the UC is unlike any other in the NHL. First, we will arrange for lodging in a hotel close to the United Center and near to some of Chicago's best tourist attractions. Then on game day, we will assist you with travel to the United Center. Great tickets to a Blackhawks game of your choice are included in every Blackhawks ticket package. Witness the legendary singing of the Star Spangled Banner at the start of the game! After the game, head back to your hotel or out on the town and experience everything the city of Chicago has to offer. Let us customize your Blackhawks hockey trip to city of Chicago! - Chicago City-Pass for access to the top Chicago sights including the Field Museum, Navy Pier, the Shedd Aquarium, the Art Institute and more! - Private or group city architecture tours by ground or water! Call 1-888-654-7755 or Let us Customize a Package! The United Center or the UC as it is called by local Chicago residents is located on the west side in the city of Chicago on Madison Street. It is commonly referred to as "The house that Jordan built" (Michael Jordan). The United Center is the home of both the 2013 Stanley Cup Champion Chicago Blackhawks of the NHL and the 6 time NBA Champion Chicago Bulls. The United Center first opened in August of 1994. It seats 20,500 (not including standing room) for hockey, 21,711 for basketball and up to 23,500 for concerts. Before the UC was built, it's predecessor was the Chicago Stadium, which was extremely popular among sports fans, because of the amount of noise that was generated inside the arena, mostly at hockey games. This reputation gave the Chicago Stadium the nickname "The Madhouse on Madison." One of the trademarks of the Chicago Stadium was the legendary sound of the Barton Organ. During hockey season, a replica of the Barton Organ, the Allen Organ is still used to duplicate the sound of the Chicago Stadium. A major attraction at the United Center, is the now famous Michael Jordan statue. The statue is located on the east side of the arena and features Michael Jordan's classic pose. 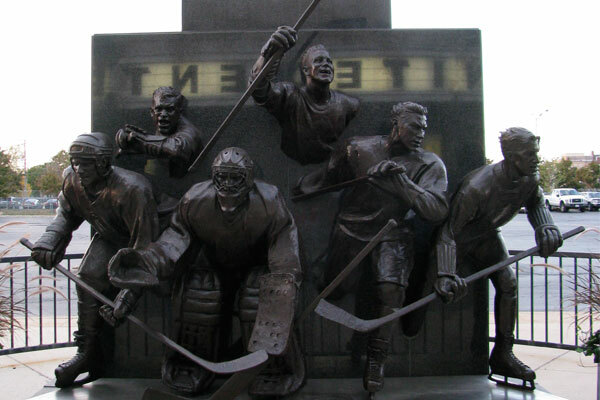 On the opposite side of the arena, a Chicago Blackhawks statue featuring hall of fame left wing Bobby Hull can also be seen.